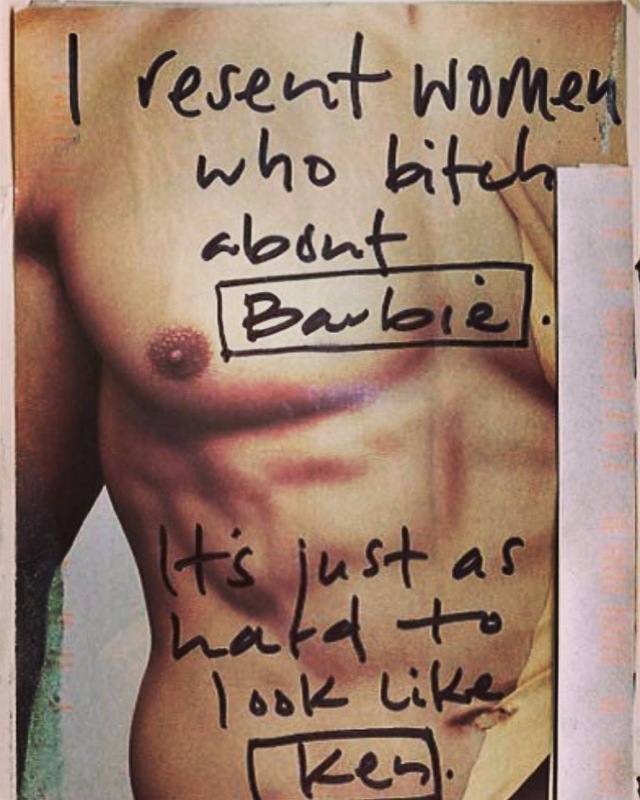 “Six packs, abs, buff arms, big calves, bigger chest, shredded…yeah we are under just the same pressure as you girls are. I’ve had insecurities about my body and weight since I was a kid…I’m now nearly 30. I’ve never been confident with women and I swear it’s because of my body. I’ve downloaded apps for push ups, sit ups and squats. I eat ‘clean’ and I am beginning to look leaner, but I’m going on holiday next week with mates and I don’t want anyone to see me without my kit on.